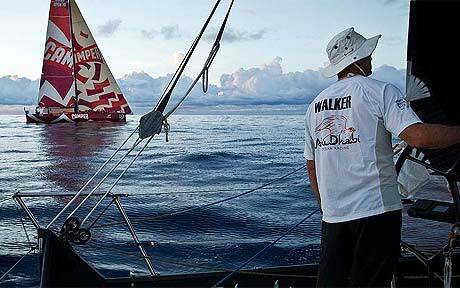 Shifting winds and currents forced skippers to make a decision this week whether to stay inshore or head out to sea to be in the best position to pick up the more reliable trade winds in Leg 6 of the Volvo Ocean Race. Team Sanya are shipping their damaged yacht to the USA to relaunch their bid after a tumultous leg five tore holes — literally in some cases — in several teams’ plans, with angry seas and apoplectic storms battering boats and bodies for days on end on Leg 5. Apart from Sanya, Abu Dhabi were forced to drill bolts into their hull to hold it together before retiring, Telefonica had to make a pitstop in Chile to repair bow damage and Groupama were dismasted. Camper took a big hit to the bow after falling heavily off a wave, which meant a detour to Chile for repairs while leading the fleet on leg five after the mother of all catfights with PUMA. For a time, only Telefonica and PUMA were on the race track. The catastrophes prompted race boss Knut Frostad to say: “It is not acceptable that in a race like this we have so many failures. 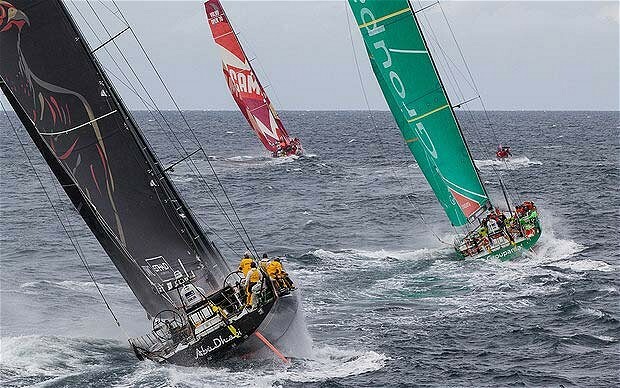 It is not unusual for boats to suffer problems — and sailors and shore teams are used to having to deal with some issues with their boats — but this has been on a bigger scale than in the past.” His concerns may well pave the way for rule changes for future races. After returning to the race, Telefonica nearly pipped PUMA to the post, which made for a dramatic end to a turbo-charged leg. Ken Read claimed the first win of the race for the hitherto unlucky PUMA, while Groupama snatched the in-port race in Itajai. First came the news that Prince William was to visit Galway and the leg nine finale. A delayed April Fool gag to City Hall and a quick call to Buckingham Palace soon confirmed the hoax. But the publicity machine has whirred into gear: organisers have now written to the British Embassy in Dublin, inviting any member of the Royal Family who might like to get their feet wet.